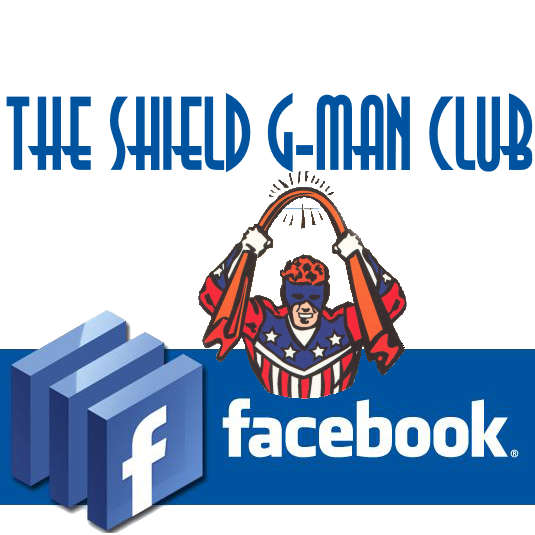 At the end of the 1930s, under the direct supervision of J. Edgar Hoover himself, Joe Higgins a.k.a The Shield became the first “G-Man Extraordinary”. 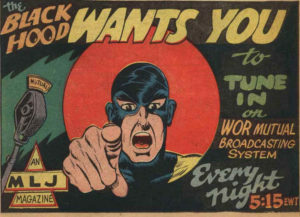 Joe would be joined by heroes such as Steel Sterling in the fight against evil. 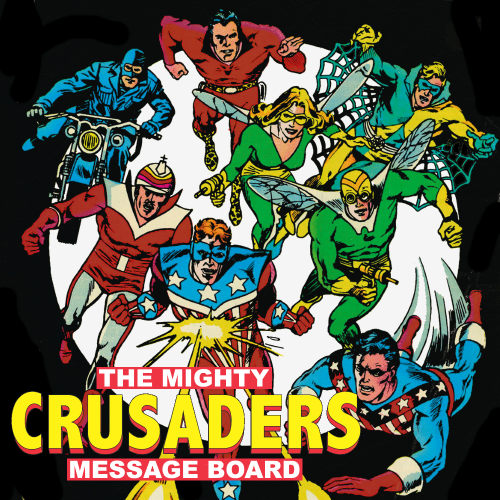 In time, more and more heroes would join forces, banding together as the Mighty Crusaders to fight at the frontlines against evil. After many years, virtually all super villains were imprisoned or otherwise dealt with. The Crusaders’ most persistent and formidable foe, The Brain Emperor, vanished into the Astral Plain alongside Mr. Justice, the most powerful of heroes. 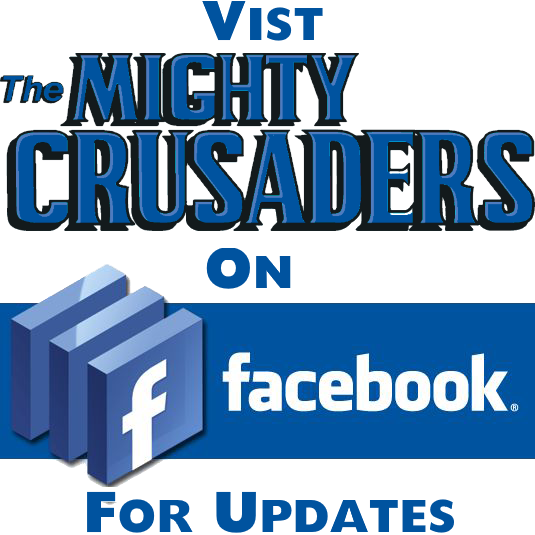 The Bureau of Military Logistics and Jurisdiction, which had taken on the Crusaders as U.S. Marshals, helped the group establish the small town of Red Circle. The heroes took the opportunity to rest and start new families, never revealing their heroic pasts to the young generation. Joe Higgens remained active to at least some extent and maintained the “Crusader Circle” facility used by the team alongside his new friend, Dr. Uruk Ak’Ahk, who took on the name “Dusty” in reference to Joe’s old sidekick Dusty Simmons. Simmons himself became the new head of MLJ and continued to work with Joe. The retired Crusaders remained in contact, and told Joe that should evil return and anything befall them, they wanted him to look after the young generation they were raising. Joe agreed that should the worst occur, he would take in the children, and train them to protect themselves from the Crusaders’ old foes. Tragically, he would be called to keep this promise. Fly-Girl, divorced from her husband, raised an energetic and somewhat geeky daughter, Kelly Brand. Steel Sterling married, became Mayor of Red Circle, and raised a son, Johnny Sterling, who shared his father’s imposing physical stature as well as the elder Sterling’s easy-going nature and quiet likability. The Comet married and adopted a son, Greg Dickering, who grew up to be an intelligent and level-headed young man. 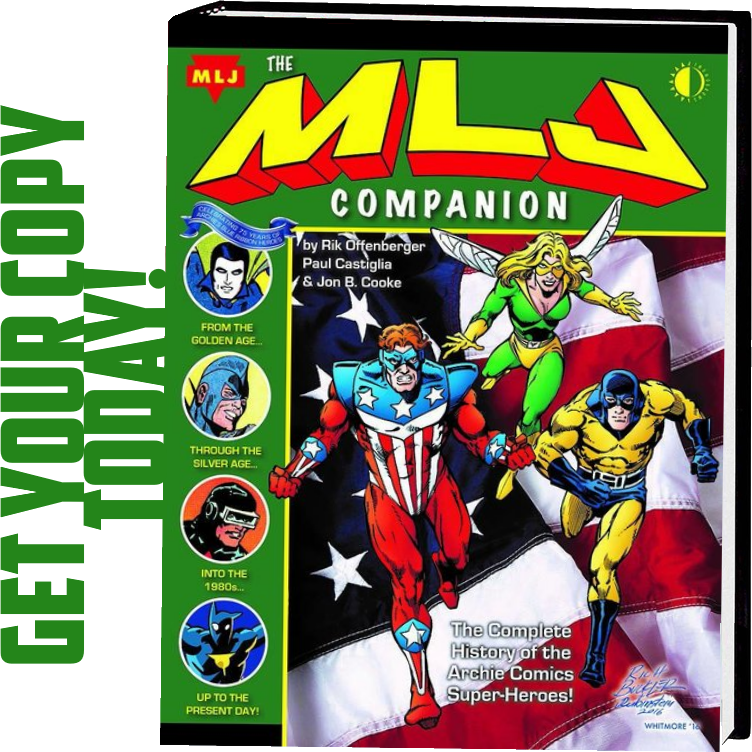 The married heroes The Web and Pow-Girl raised a son, Wyatt Raymond, whose shy geekish nature and lack of enthusiasm for physical activity made him stand in stark contrast to his adventurous and athletic parents. Fireball discovered great conflict in his brother’s family and took in his troubled nephew, Alex Tyler, a boy with a good heart but a tendency to get into trouble. The Jaguar, who had always been more comfortable with animals than other humans, took a position at Red Circle’s zoo and formed a strong bond with his young protégé Ivette Velez, a shy and soft-spoken young girl. After many years passed, the Brain Emperor reappeared, having gained power over the mysterious Blue Ribbon. With his new powers, the Brain Emperor ambushed his old foes at a reunion they had brought the younger generation too. The Emperor used his new powers to apparently kill Fly-Girl, Comet, Fireball, The Web, Pow-Girl, Jaguar, and Steel Sterling. Joe Higgins, however, succeeded in saving the teenagers present. Joe followed through on his agreement with his old friends, becoming The Shield once more to protect their young. 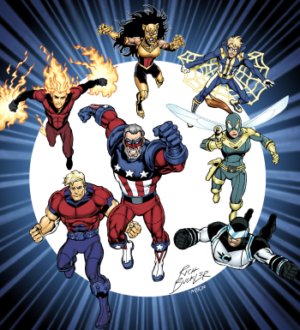 Following protocols set up by the Crusaders earlier to give the teens the abilities they would need to protect themselves, Joe gave Alex Tyler, Greg Dickering, and Johnny Sterling treatments to give them the powers of the original Fireball, Comet, and Steel Sterling. Kelly Brand received weapons and gear replicating the powers her mother had possessed as Fly-Girl, Ivette Velez was given a powerful mystic artifact that had been found by the original Jaguar, and Wyatt Raymond received a super-suit based on The Shield’s own, enabling the young boy to become a new Web. Joe clearly struggled with dealing with his young charges, however, unused to interacting with teenagers. 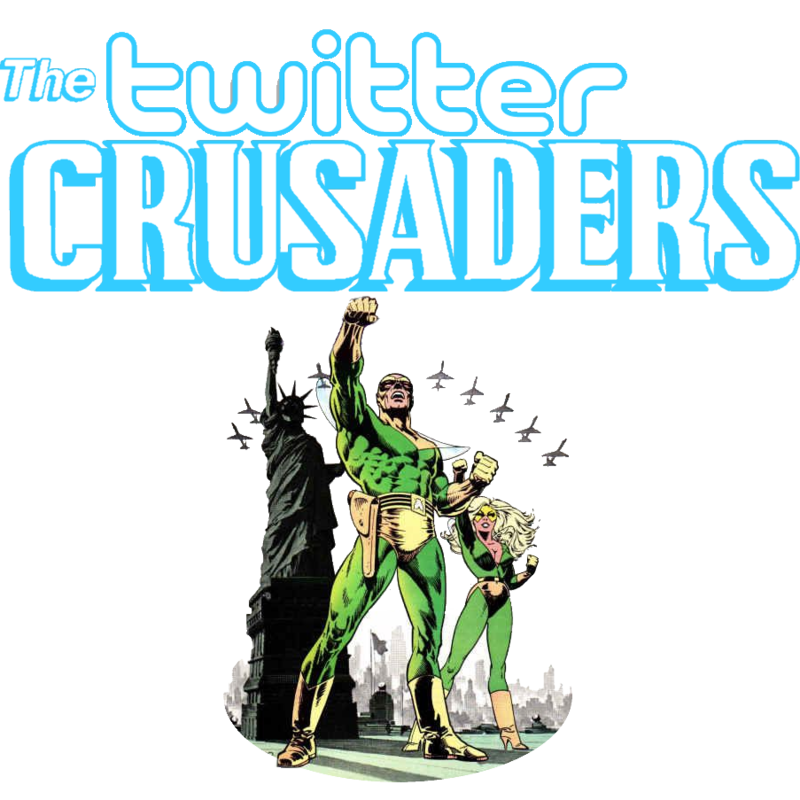 Nonetheless, the youngsters decided to allow him to mentor them as they followed in their elders’ footsteps, becoming the New Crusaders and swearing to bring the Brain Emperor to justice.